No exams i give after college, i've choosen business line later. Buy yeah my college experience in apex college was really awesome. Placements are good. Many MNC companies visits this college every year. Some of those companies are dell, WIPRO, TCS, etc. And offers very good packages. Packages are like, 2.4 lac per annum. 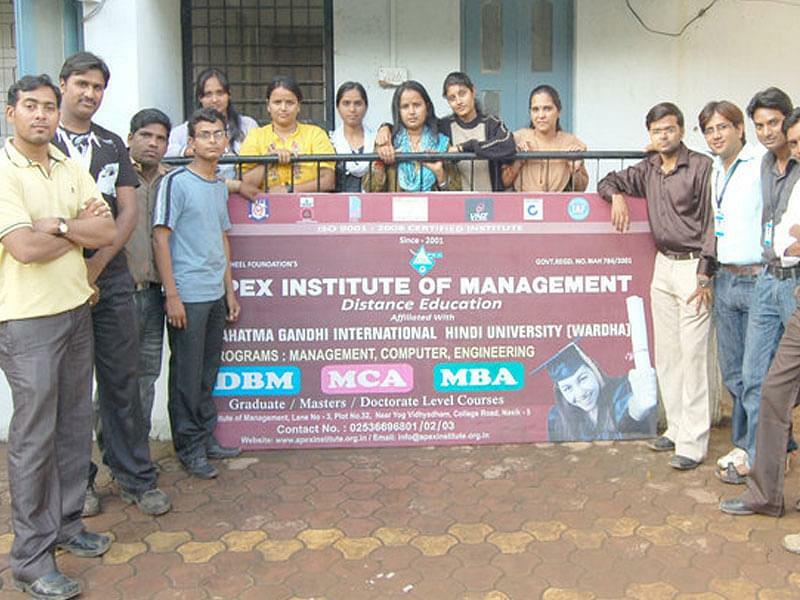 Apex Institute of Management (AIM) was founded by Panchsheel Foundation and established in 2001. AIM provides high quality management education through distance learning. The key benefit is flexibility of learning anywhere. AIMâ€™s programmes combine the latest academic knowledge with international competence, helping to build intellectual resources for future leaders and advance the frontiers of businesses. AIMâ€™s fast track distance learning program allows candidates to remain in employment or continue studying other courses.